Hi there! 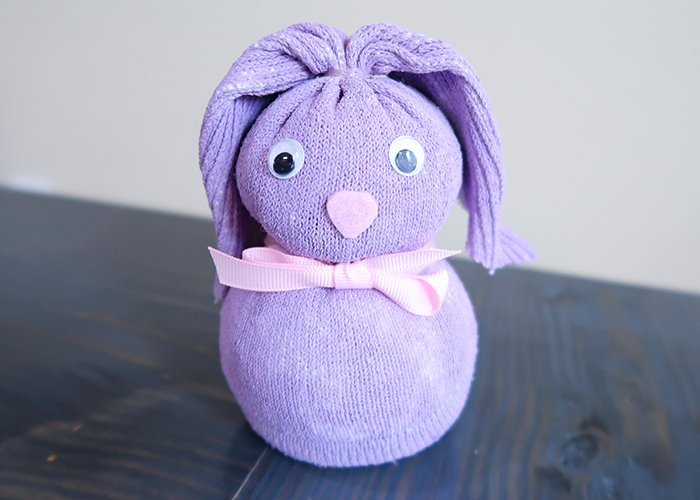 I’m so excited to show you how to make this adorable Sock Easter Bunny Tutorial! 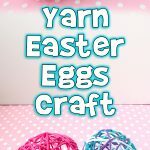 This little bunny is so quick to make, and a very affordable way to DIY your own Easter or spring decorations. Here’s what you’ll need! 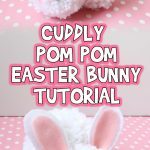 Check out my adorable and easy pom pom easter bunny craft, too! I use the Martha Stewart paints because I can use them on anything from glass to fabric. 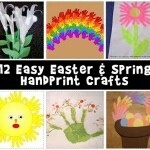 Just make sure that if you use craft or acrylic paint that it says it can be used on fabric on the bottle. You’re going to start by paint your sock! Yep, if you’re like me and prefer to use old socks for crafts rather than buying ones specifically to craft with and all your boys wear are plain white crew socks, paint is your answer. I painted mine a soft lilac color. The paint will cover light stains and light fabric color changes, but won’t cover dark logos, so keep that in mind. 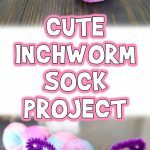 If you already have a super cute sock, just use that as is! The trick to painting socks is to put the sock over your hand, stretch it out, and really use the brush to work the paint into the fibers. 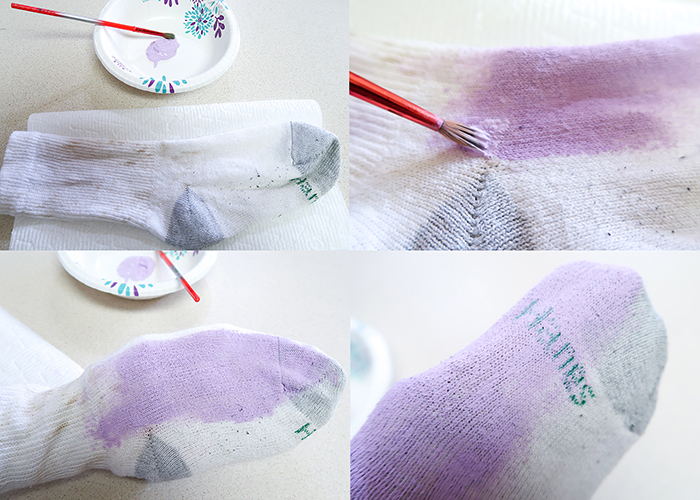 Go ahead and paint your whole sock, and hang it up to dry for about an hour or two. 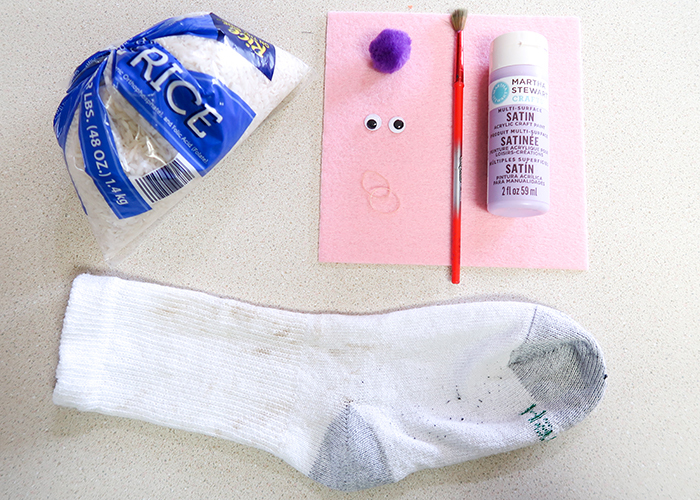 When your sock is completely dry, it’s ready to fill with rice! 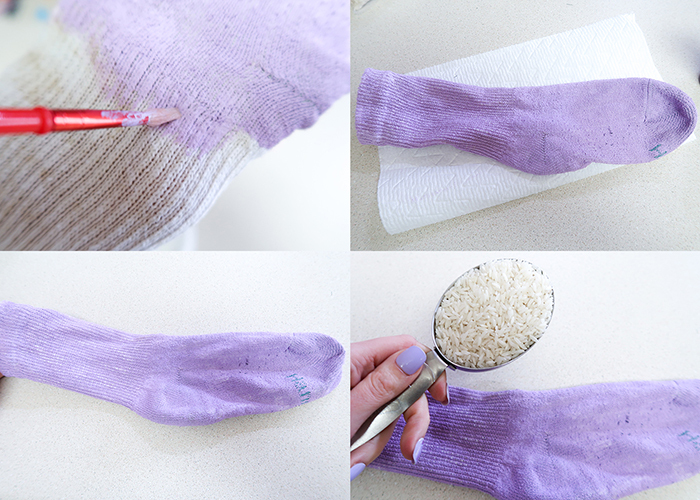 Fill the bottom of your sock with 1 cup of rice. 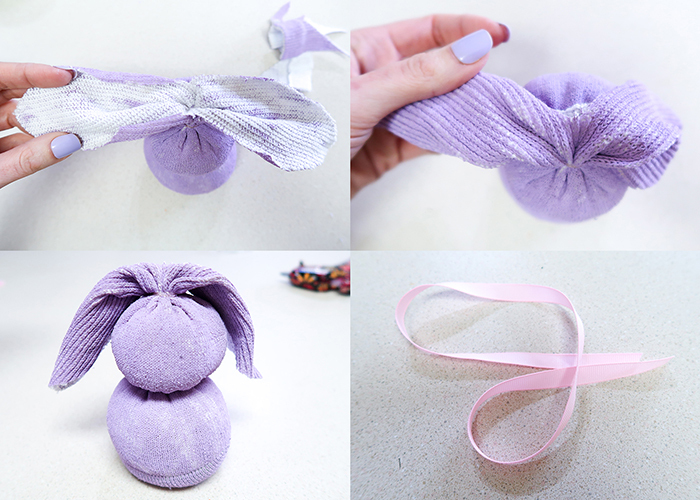 Shape it into a nice ball, and then use your clear elastic to tie it off. Then you’re going to a 1/2 cup of rice for your next layer, which is the bunny’s head. Shape it into a round ball again and tie it closed with another clear elastic. See that long ankle piece left? That’s going to be the ears! Make sure the top is flat, and cut it in half straight down the middle, stopping about an inch above the top elastic. Now open up each ear. See how they’re still white? You can paint them if you want, but it’s not necessary. Then you cut off the top like shown so the flaps now have a proper ear shape. If you painted the insides you can put the ears down like this. If you didn’t, flop the front part over the back part. The white is hidden and the bunny ears are super cute and floppy. I had a floppy eared long haired pet bunny several years ago, so I’m partial to floppy ears. Now you’re going to cut a bit of ribbon long enough to go around the bunny’s neck plus enough to make a bow. 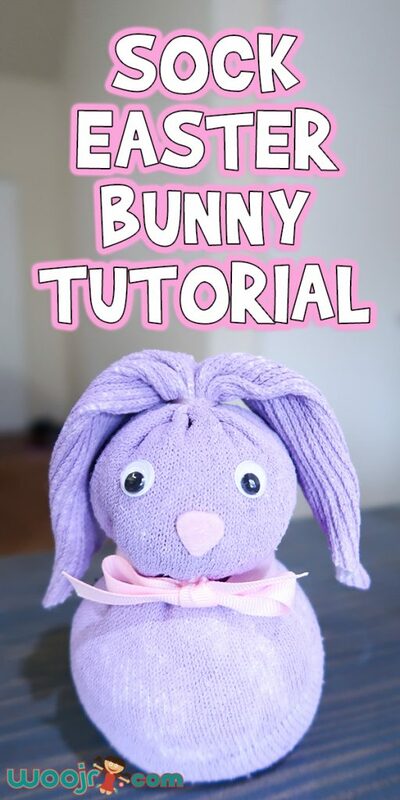 Now you can tie a cute little bow around your bunny’s neck. Then you just cut a small rounded triangle from the pink felt for your bunny’s nose. 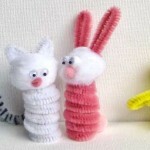 Next you’re going to hot glue to pom pom on your bunny’s rear end. 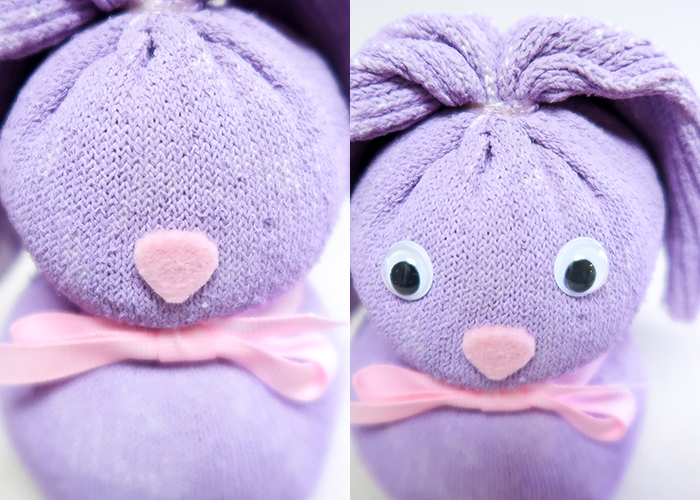 Just glue on your bunny’s nose and googly eyes, and you’re all done! Awww! Such a cute little bunny! 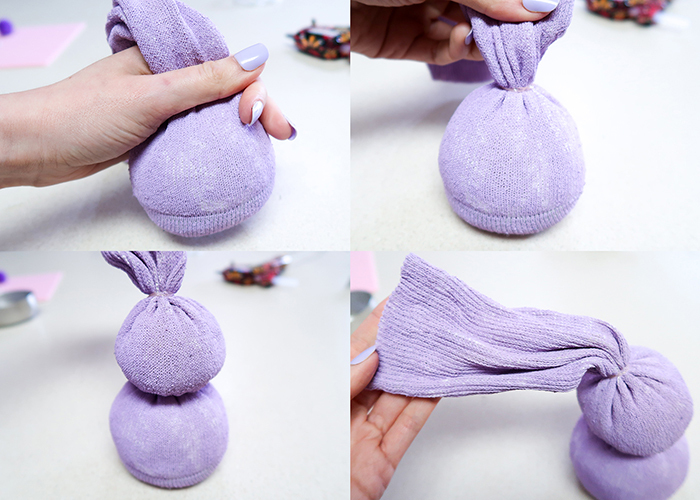 These are so fast to make, and even faster if you don’t need to paint your sock. 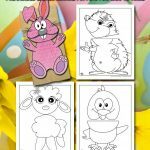 I hope you’ve enjoyed this Sock Easter Bunny Tutorial and make a bunch to decorate your home with this spring!